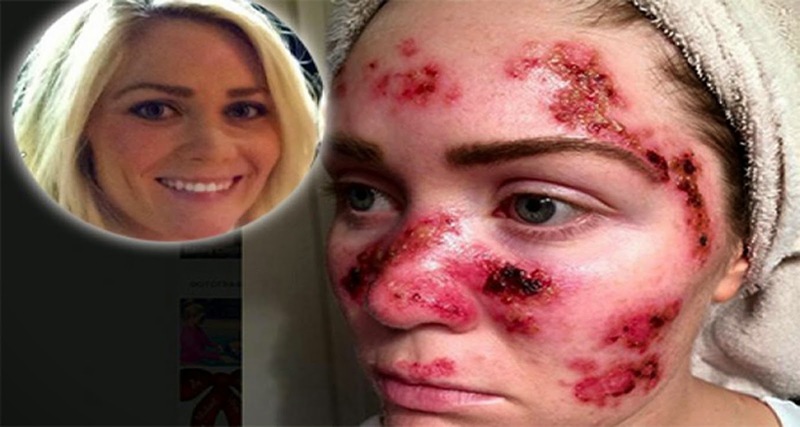 Her Life Is Hell: She Got Skin Cancer Due To Solarium! This Is Her Story! “I had my solarium at home, same as many of my friends. Everyone was doing it. I did not think about the future or about skin cancer, “said the brave nurse from Alabama. She was diagnosed with skin cancer when she was 21. Since then it had returned six times. She keeps going to the doctor, and almost every time she goes in, they find her a new tumor. She photographed herself in a state when her cancer attacks the skin and hung the photograph on her Facebook profile. Because of that she became a Facebook hero. “Wear sunscreen to protect from the sun and use self-tanning preparations. You have only one skin, and have to worry about it. Learn from the mistakes of others. Do not let the tan stop you from seeing how your children are growing up. This is now my biggest fear, “she said. Toni was treated with special creams and doctors even remove her tumors with liquid nitrogen. Therefore, this mother of a boy has deep scars on her face. “Make sure to check every point that seems strange or occasionally bleeds. The earlier you find it, the greater the likelihood that it will not leave terrible scars and will not metastasize. Melanoma kills, but non-melanoma leaves terrible consequences (and can kill), “she warns.